Now you can see results of all boards of Pakistann very first. This can easy for you to see your result, yours friend's results at this site as soon as result is announced. You can just click on relative board and then write your Roll No. then you get result easily. The result of Matric will be show at this site on 1st auguest. My great and historical city Jhang was built in 1288 by Rai Sial with the advice of Hazrat Shah Jalal Bukhari (his peer). The first ruler of Jhang was Mal Khan in 1462. Sial tribe ruled this city for 360 years and the last ruler of the Sial Tribe was Ahmad Khan from 1812 to 1822 and then Sikh took over. And from the rule of the Sikh, Jhang was taken over by the British.Jhang is more famous for its men than for its products.Jhang is said to have been founded in the fifteenth century, and to have been destroyed by the river and refounded in the reign of Aurangzeb. Under Central Asian Mughal rule, the city flourished and was notable for commerce and trade. In the late 18th century it was added to Afghanistan and became part of the Afghan Empire. With disarray and chaos falling internal strife in western Afghanistan and the gradual decline of the Mughal Empire, the city was briefly taken by Ranjit Singh in 1805. Later in 1849, The British made inroads into the Panjab and added Jhang to their expanding South Asian empire. During British Rule the towns of Jhang and Maghiana, lying two miles apart, became a joint municipality, then known as Jhang-Maghiana. Jhang-Maghiana became a municipality in 1867. The income during the ten years ending 1902-3 averaged Rs.46,800 and the expenditure Rs. 44,200, in 1903-4 the income was Rs. 49,700 mainly derived from octroi. 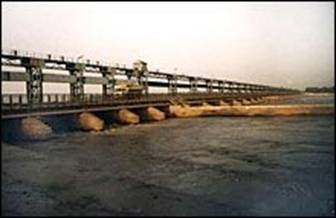 Maghiana lies on the edge of the highlands, overlooking the alluvial valley of the Chenab, while the older town of Jhang occupies the lowlands at its foot. The Government offices and establishments had been removed to the higher site, and commerce declined in Jhang, which was no longer considered a place of importance. Maghiana, however, had a considerable trade in grain and country cloth, and manufactured leather, soap, locks and other brass-work. Maghiana also contained a civil hospital, whilst Jhang had a high school and a dispensary. The population in 1901, according to the 1901 census of India, was 24,381 of whom 12,189 were Hindus and 11,684 were Muslims. Jhang is the burial place of Heer and Ranjha, of Punjabi folklore. A number of well known people, including doctors and engineers, have come from Jhang. The Nobel Prize winner in physics, Dr.Abdus Salam belonged to Jhang. The former of Sipah-e-Sahaba Allama Haq Nawaz Jhangvi Shaheed also belonged to Jhang. And other personailities of jhang are Tahir-ul-Qadri, Abida Hussain. 3397 Squire Miles (8809 Squire kms). Panjabi 87%, Urdu 11% and Other 2% (English etc. ).Punjabi is the mother tongue of people. Jhang Sadar, Jhang City, Kotwali P/O, Qadir Pur, Massan, Barana, Mochi Wala, Athara Hazari. Jhang, Atharan Hazari, Mari Shah Sakhira, Mandi Shah Jewana, Shah Jewana, Shor Kot, Ahmadpur Sial, Gharmahraja, Garh Moor, Bahu Sultan. Head Trummu, Shorkot Ruins, Maai Heer Tomb.